In the market for a universal exhaust tip? 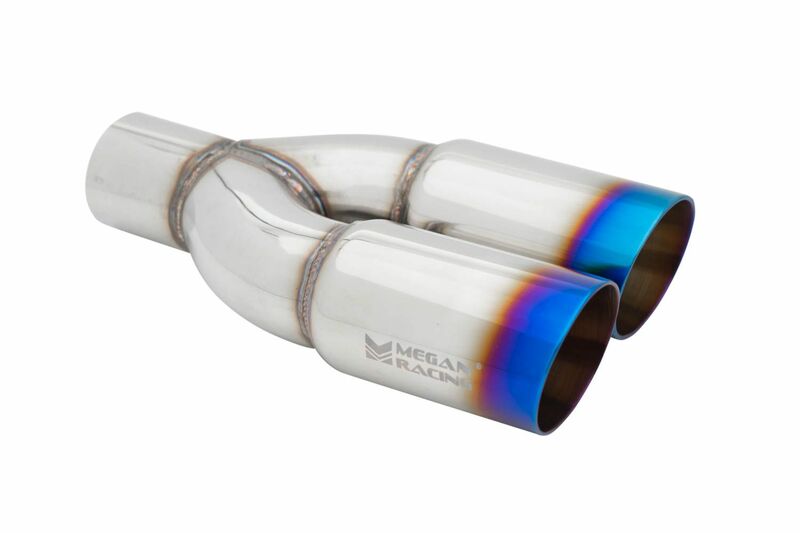 Check out our selection of Megan Racing exhaust tip offerings to suit your personal taste. Similarly Megan Racing offers over 20 different styles of universal exhaust tips to perfectly complete your custom exhaust setup. All exhaust tips are made of stainless steel and engineered to last. For instance our selection of exhaust tips give you lots of options for complimenting your exhaust system. Finally the installation of these exhaust tips are the ideal way to finish of a custom exhaust system. In other words this is the cherry on top! Driven By Style has been an authorized Megan Racing dealer since 2009. Additionally the staff here has the experience and knowledge to answer any questions you may have. In conclusion we are standing by to give you the best buying experience possible when shopping for Megan Racing products. Above all we are passionate about what we do and aim to do it the best!